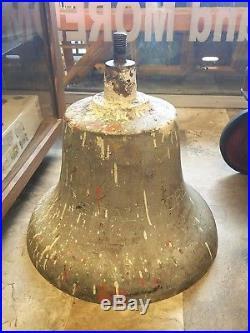 THE BELL IS FROM THE SS BALTIMORE OF THE NORTH GERMAN LLOYD LINE, BUILT BY CAIRD & COMPANY OF GREENOCK, SCOTLAND IN 1867. 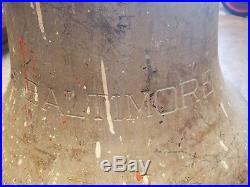 THIS STEAMSHIP WAS USED FOR MOST OF HER CAREER TO BRING GERMAN IMMIGRANTS TO BALTIMORE, MARYLAND. 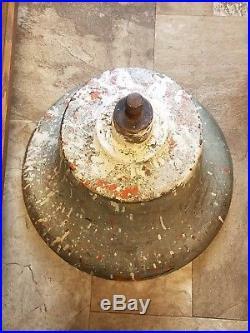 THIS BELL SOMEHOW MADE IT'S WAY BACK TO THE UNITED STATES, FOUND RECENTLY IN A BARN IN NEW JERSEY AFTER HAVING BEEN THERE FOR DECADES. 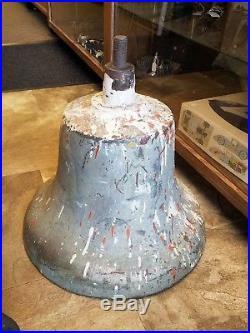 THE BELL IS IN GOOD OVERALL CONDITION, HAS SOME PAINT SPLATTER ON IT, BUT CLEANED UP AND POLISHED WOULD LOOK AMAZING. 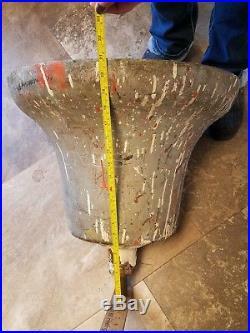 IT MEASURES ABOUT 21 INCHES TALL OVERALL, 20 INCHES IN DIAMETER AT THE BASE AND THE MOUNTING STUD IS 1 INCH. 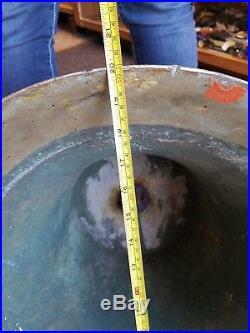 THIS BELL IS VERY HEAVY! 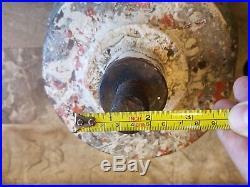 PICK-UP IN RONKS, PA 17572. 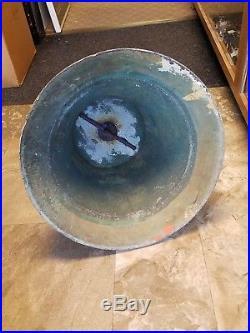 ANTIQUE SS BALTIMORE PASSENGER STEAMSHIP SHIP BELL BRONZE / BRASS" is in sale since Tuesday, October 30, 2018. 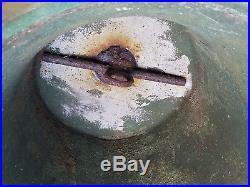 This item is in the category "Collectibles\Postcards\Transportation\Boats, Ships". 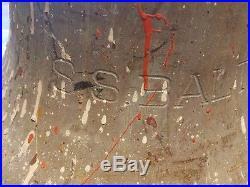 The seller is "lensspeed" and is located in Mount Joy, Pennsylvania.